I don’t know much about the art… science… whatever it is of architecture. But I know the things that are inherently pleasing to my eye. I might not know exactly why — whether there’s a particular aesthetic or technical reason why such designs are pleasing to me — but I definitely know that any time I see such a design, I like it. I’m referring to what I tend to think of as “traditional European architecture”. As a layman, I don’t know if it has a specific name or a particular time in history that it hails from — and I also appreciate that Europe is a big place, so “traditional European” doesn’t mean much — and thus writing this post is going to be as much of a learning experience for me as it will hopefully be for you. 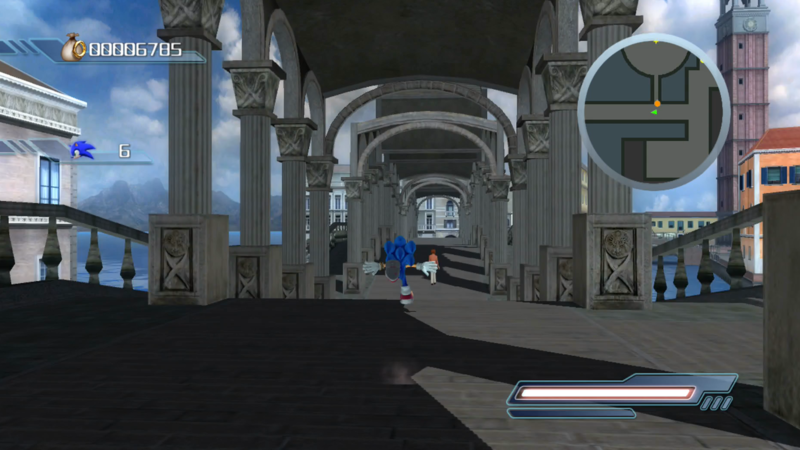 All I know at the start of this paragraph is that the somewhat “Italian”-looking architectural style in Sonic 2006’s central setting of Soleanna is something that I very much like looking at, much as I very much liked looking at the similar architecture in the Gravity Rush games last year. As an early seventh-generation game, Sonic 2006 may not be much of a “looker” from a technical perspective, but design-wise, its adventure fields in particular are lovely. Right. A quick bit of cursory research reveals that the style I’m thinking of is known as Venetian Gothic, in that it is a style particularly associated with Venice, Italy, that came about around the 14th century or so. It is distinguished from regular Gothic architecture — that distinctively ornate style particularly associated with European churches and cathedrals — by its incorporation of a number of external influences, specifically Byzantine and Moorish. Traditional Gothic architecture can be spotted fairly easily through its use of lancet arches — those distinctive archways that culminate in a sharp point at the top. The architectural element is most readily associated with windows, and indeed one of the most common places you’ll see it is surrounding stained glass windows in traditional European churches and cathedrals. However, in Venetian Gothic architecture, this distinctive surrounding stonework — known as traceries — is, at times, used to support entire buildings rather than just windows. Ornately decorated lancet arches can be seen used as key structural elements of a building rather than simply being decorative, and the exteriors of many buildings sport intricate designs rather than simple, flat walls. The style’s popularity is commonly attributed to the Doge’s Palace (no, not that doge), which began construction in 1340, then caught fire on two separate occasions before being rebuilt in its original style in the 16th century. Indeed, the palace seems to be a pretty quintessential example of the style, with its iconic exterior heavily accented by a row of lancet arches and similarly shaped windows across its upper floors. The reason for Venetian Gothic architecture taking on as much of a structural role as a decorative one is down to the overall landscape of Venice in general; with the numerous canals running through the city, space was at a premium, and the Venetian Gothic style of traceries turned out to be an efficient means of supporting a building without wasting any of that precious land. 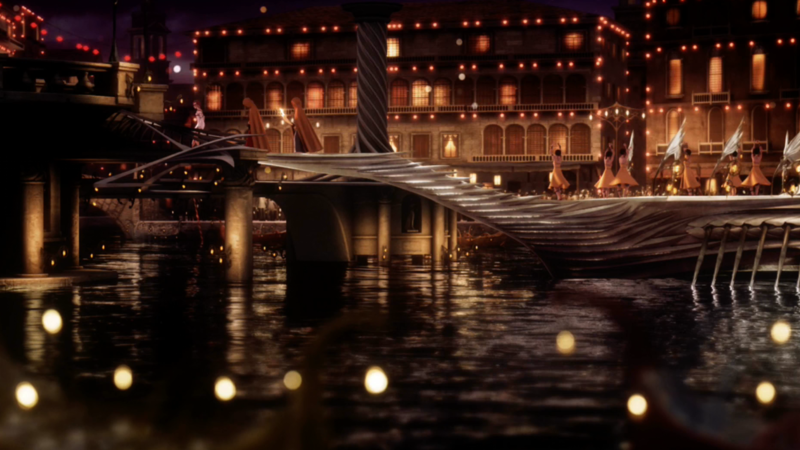 Sonic 2006’s central setting of Soleanna was deliberately designed to evoke feelings of Venice — so much so that early concept designs for what would become Silver the Hedgehog, actually had the telekinetic hero in the form of a mink literally just named Venice as homage to this fact. 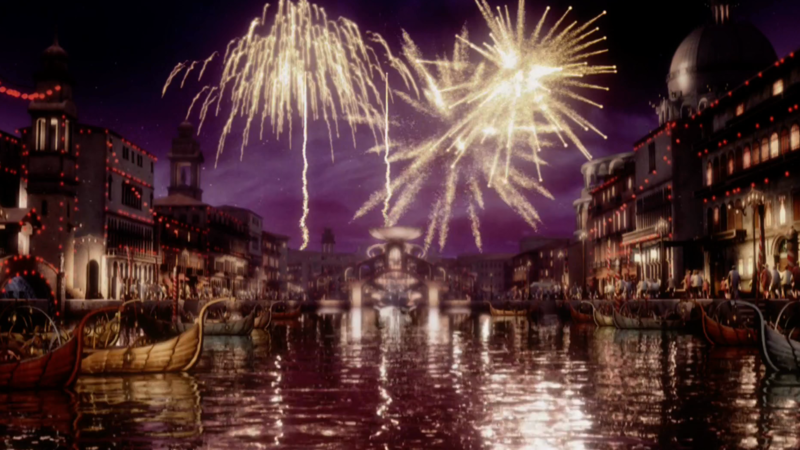 It’s not hard to see how this locale pays tribute to the real-world Italian city; its Castle Town district in particular is strongly evocative of the Venetian Gothic style, with plenty of arches, domes, spires and elaborate traceries on both the buildings and the numerous bridges that crisscross the canals that divide up the various smaller areas. Many of the arches may be more conventional in shape rather than the distinctly Gothic lancet design, but lancets are still in evidence in various places. 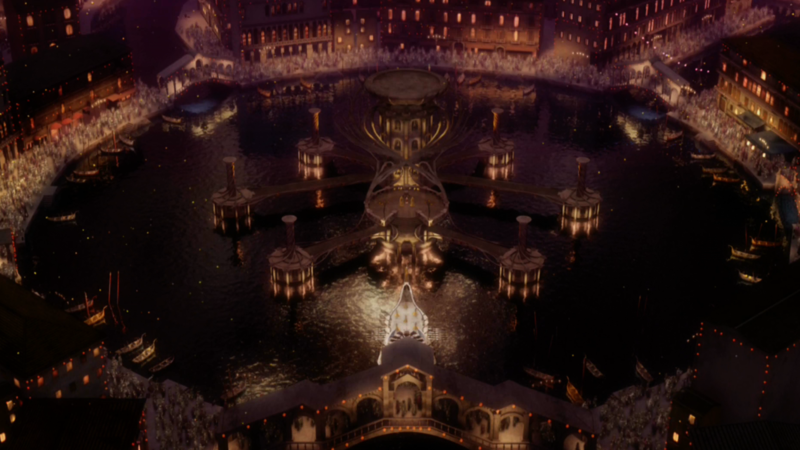 Soleanna’s other main district New City is a marked contrast to Castle Town. There are still hints of the continental Europe feel here and there, such as shops and eateries with awnings and people sitting outside in the perpetual sunshine, but on the whole it’s a much more modern-feeling locale, with its wide roads flanked by tall skyscrapers, and its busy marina further adding to the district’s overall feeling of affluence. 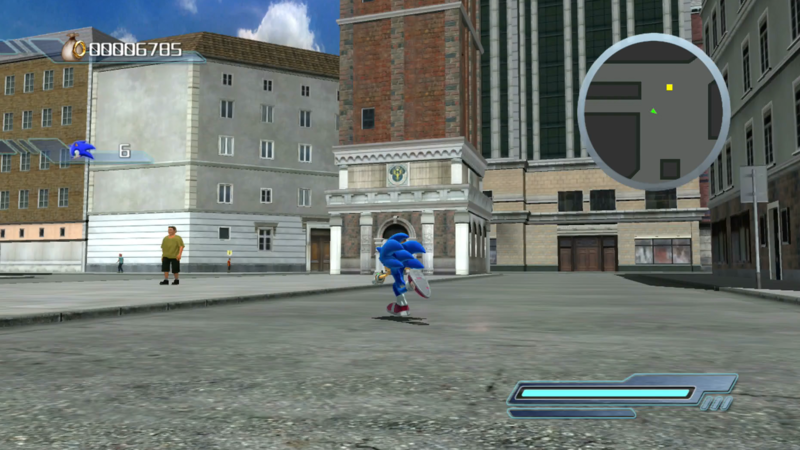 In some respects, the two districts of Soleanna (plus the wooded area presented as being immediately outside it) can be thought of in a metaphorical sense as being representative of one of the core themes of Sonic the Hedgehog as a whole: the contrast (and sometimes conflict) between nature and technology; between tradition and modernity. Anyway, all this is a roundabout way of saying whatever you might have thought of Sonic 2006 as a game,it certainly had some lovely architecture. Good night. Wow! 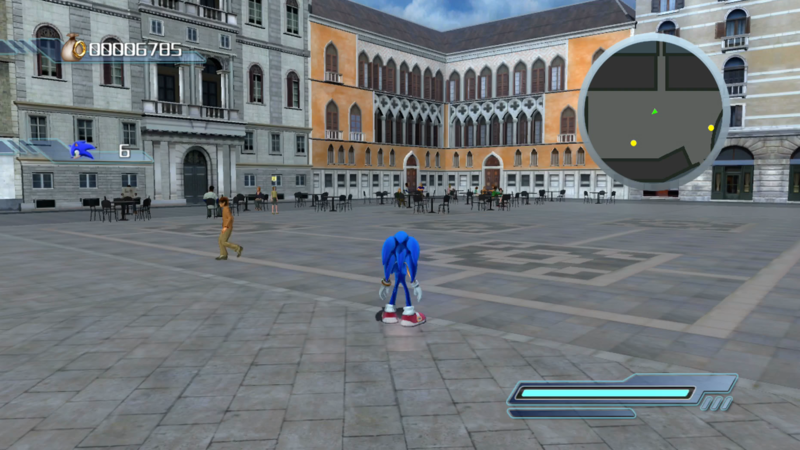 What an interesting choice as this wasn’t a very popular sonic game! I love your reasoning. It makes me want to go back and play it again! I was partial to generations… But, that’s mostly because it went back to the old sonic roots! The environment may look nice, but I wish it would load faster. Never understood why talking to an NPC would trigger a load screen. 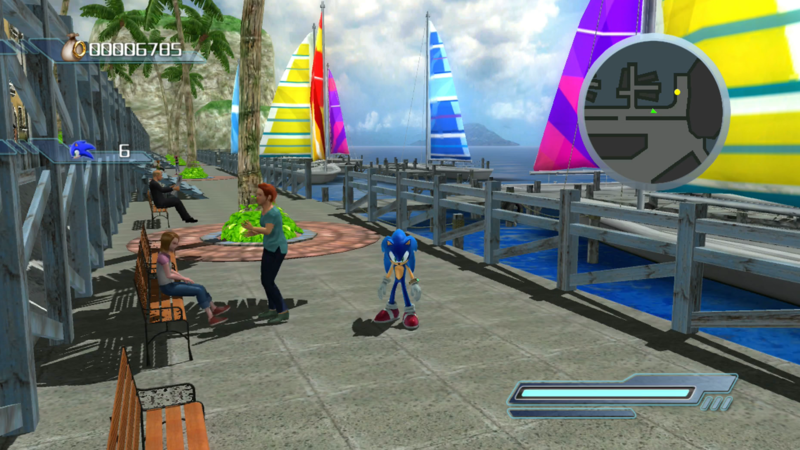 Looks like Sega’s programmers didn’t have the talent of their artists. Well, the whole thing was rushed and working on a team half the size they were supposed to have thanks to the launch of the Wii, and that made a real mess of the project! Still, the “talking to the NPCs” thing seems like something that should have been obvious. It’s actually better since you became able to install 360 games to the hard drive, but still pretty substantial.